The Creature from the Black Lagoon remake has waded through an epic journey in development hell that has spanned decades. Directors have come and gone and, with them, myriad unused designs updating the monster's look (created by Milicent Patrick for the 1954 film). In the early years of Shock, I encountered one Creature director, Breck Eisner, who was on board the remake back in 2008 and told me Spectral Motion (Hellboy) had designed the monster for him. 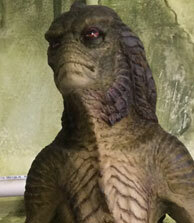 I had seen what Spectral Motion had in mind for Creature from the Black Lagoon, but never publicly. 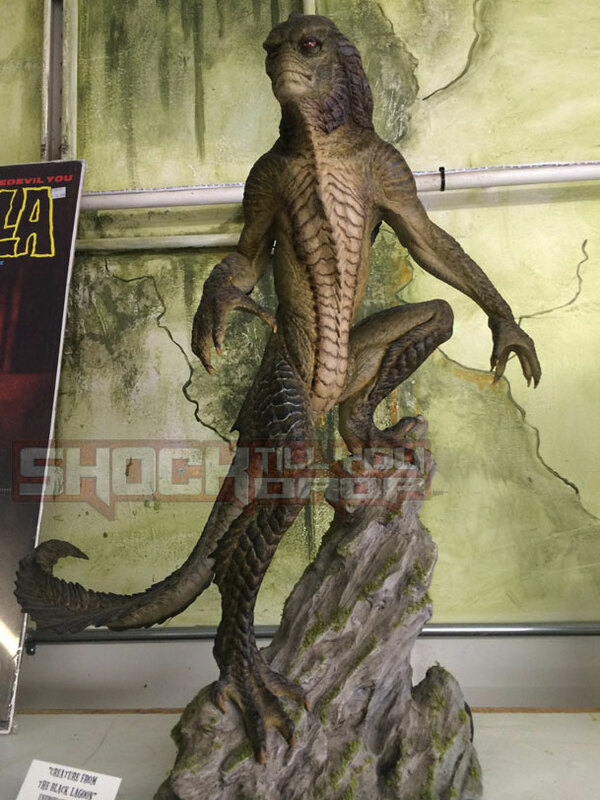 Over the weekend, however, during a stroll through Creature Features in Burbank, the FX shop's maquette for the monster was on display. You can check out a photo below. I'm not certain if this was specifically for Eisner's film, but there's a high possibility it was based on some of the conversations I've had with those involved in his take on the film. It's a cool design, for sure. Not thrilled with that "cobra neck" look, but the face is a nice nod to the original Creature, also note the addition of the tail. What do you think?